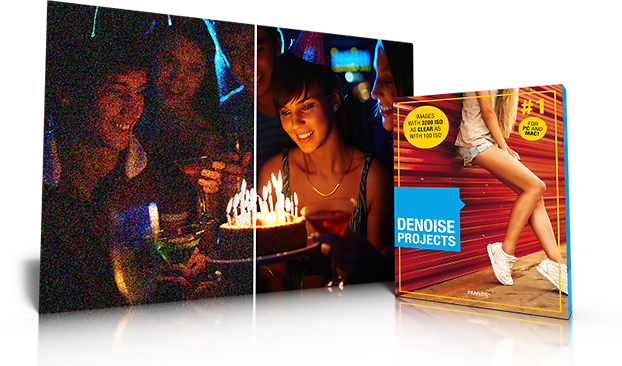 DENOISE projects is currently the only available software that removes all seven forms of image noise: luminance noise, colour noise, banding, colour clouds, hot pixels, salt & pepper as well as holes. The completely newly developed Smart Pattern Matching noise technology perfectly removes noise from your images while still keeping the colours, sharpness and finest details. Image noise is a problem that is amplified rather than disappearing because of the increasing sensitivity. And picture noise can really spoil the photographer’s day. Fire is fought with fire! Entract photos perfectly without destroying their natural look. The brand-new Natural Grain Engine from DENOISE projects 2 uses a physical trick: the image is first as far as it is technically feasible. In a second step, the program calculates film grain precisely. The image look created by this is incomprehensibly realistic – naturally noise-free and with fine sharpness.